3" width. 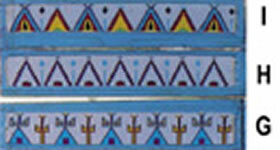 Conventional mountain and tipi leggings strip design. White background.